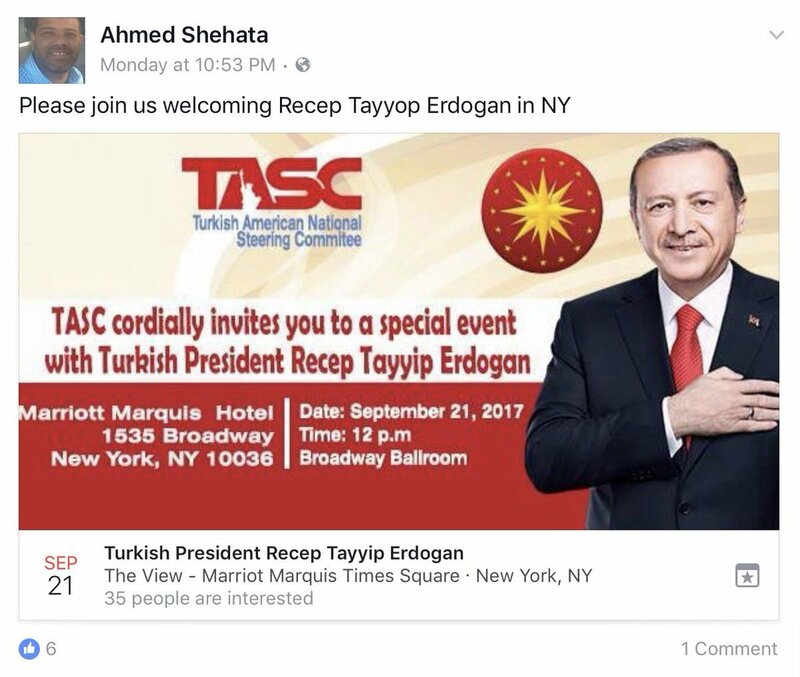 Organizers of the TASC event included Ahmed Shehata, a lobbyist for the Muslim Brotherhood who has also worked for Islamic Relief and the Muslim American Society — two prominent Islamist groups designated as terrorist organizations by the United Arab Emirates in 2014. Last year, following Turkish claims of an attempted coup against the regime, a TASC rally in support of Erdogan outside the White House included Shehata and a number of prominent American Islamist leaders, such as Nihad Awad, the Executive Director of the terror-linked Council on American-Islamic Relations (CAIR). As the Investigative Project on Terrorism notes, Erdogan’s Justice and Development Party subsequently sent a delegation to the United States to hold meetings with senior CAIR officials. Since then, Awad has continued to meet with representatives of the Turkish regime. The Muslim Brotherhood called for an “Islamic Intifada” – a violent uprising – against Israel Friday following the day’s deadly Palestinian terrorist attack in Jerusalem.